« The VSP’s oldest open case – The Murder? 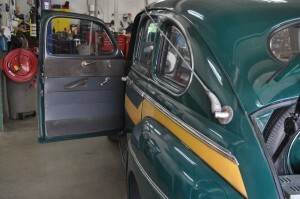 “Monty” is a 1947* Ford 4-door sedan with a flathead V-8 engine and a three speed transmission. Monty has been restored to show our citizens what the first Vermont State Police cruisers looked like. In 1970, Public Information Officers, lead by Corporal Harvey Jones found this car at Boardman’s garage in Plainfield, VT. 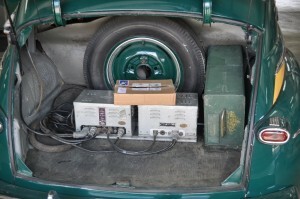 The car had been painted white, it had a bad engine and transmission, and the fenders were rusty. With the help of a garage in Essex, the Public Information Officers went to work to restore the old car. They searched for replacement parts, sanded the fenders and painted the car while the interior was being worked on by other officers. They installed the original “Link” radio, along with a remote speaker system that permitted Monty to become a talking police car. Since the restoration was finished, Monty has toured the state and been present at fairs, car shows and public events to deliver the message of highway safety to our citizens, young and old. A question often comes up about Monty’s model year. There are a number of trim and other details on Monty that would suggest it is a 1946 model year. However, Ford did continue producing 1946 style vehicles with 1947 titles several months into 1947, so it’s possible that Monty was ‘born’ in 1947. Another practice at the time was to title vehicles at the date of sale, instead of the date of manufacture. 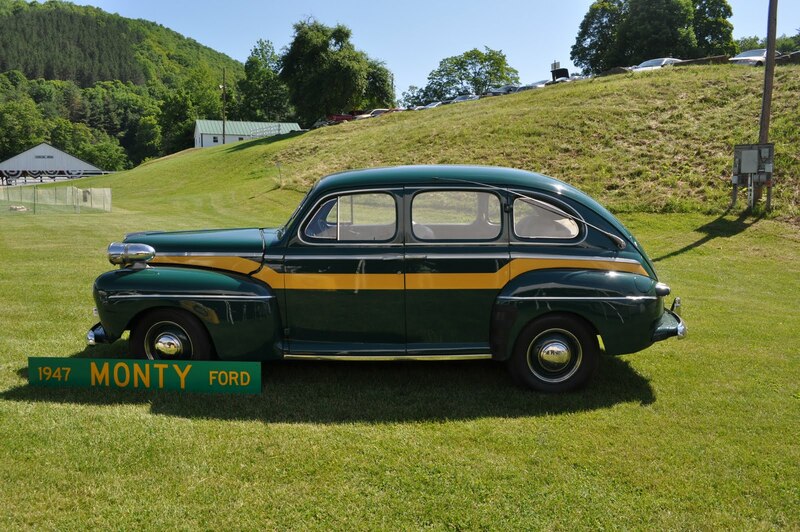 In 1972, after the restoration was complete, Monty was registered by the Vermont DMV as a 1947 model. In 1997, the Vermont State Police celebrated their 50th Anniversary. In preparation for open house gatherings scheduled for each of our barracks throughout the year, Monty received a fresh coat of paint and had the chrome refinished. Contributions from the Troopers Association paid for all the work that was done to prepare Monty for a full year of public display. When not in use, Monty’s home is the State Police Special Services garage in Colchester.